Recently, Square Enix released a new gameplay video for their upcoming Nintendo 3DS title, Kingdom Hearts 3D: Dream Drop Distance! 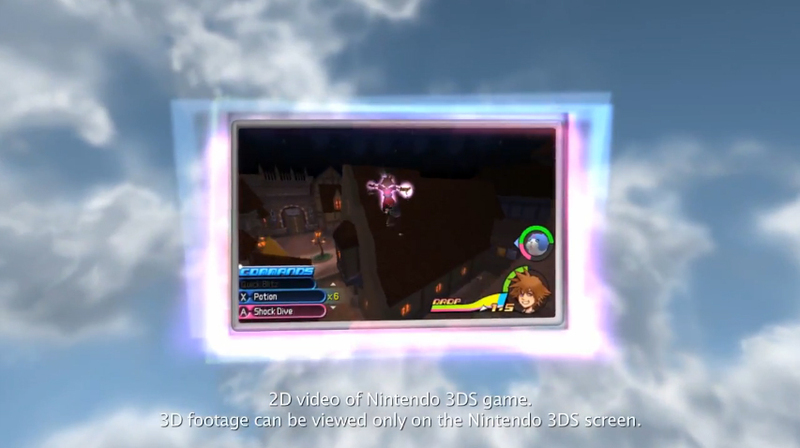 The video looks into Flowmotion, a new system being introduced into the series. Flowmotion makes every world your playground: spin around lampposts, grind along rails and kick off of almost any surface to explore environments and battle enemies with seamless speed and style!